From one of the hottest pop acts to come out of Britain, a new, One Flew Over the Cuckoo's Nest-inspired video! AlunaGeorge released their debut album, Body Music, in July of last year. The latest album from these retro-soul revivalists was initially set to be released last year. The release was delayed Ms. Jones was diagnosed with cancer and began undergoing chemotherapy. Thankfully, she has responded well to treatment and has not only released this great new album, but will be touring with The Dap-Kings! Watch: "Stranger to My Happiness"
The Sleepwalker is an upcoming Norwegian film, which recently debuted at the Sundance Festival. The film is directed by Mona Fastvold, who happens to be married to musician Sondre Lerche. As such, Lerche contributed some existing and new songs to the film's soundtrack, and also composed the score. 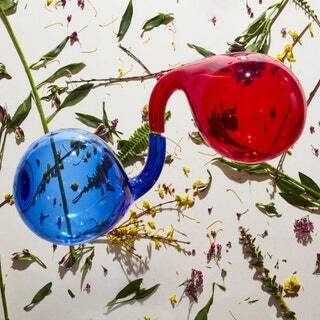 Listen: Sondre Lerche - "You Sure Look Swell"
Listen: Sondre Lerche - "Palindromes"
Stephen Malkmus came to prominence as the lead singer of the band Pavement, which formed in 1989. He switched gears around the year 2000 an began performing with The Jicks. This is the sixth album from this band, meaning he's now released more records here than he did with the group he became known for. The British band Band of Skulls is gearing up for the release of their third studio album, Himalayan, in April. In anticipation of that release, they are putting out the first single from the record, a fast moving blues-rock track. While the Pixies reunited in 2004, it wasn't until 2013 that they started releasing new music together, starting with the single "Bagboy" and following up with EP-1. Logically, the next release is EP-2. While I haven't yet seen Martin Scorsese's latest film, I've heard, well, a lot of things about it (good and bad). I would still like to see it though. Until I do, I have the film's soundtrack to get me by. It features some great classic artists, like Howlin' Wolf and Bo Diddley, as well as some new classics, namely Sharon Jones! Listen: Sharon Jones & The Dap-Kings - "Goldfinger"
Listen: Bo Diddley - "Road Runner"
It's that time of the year again; I have combed through the various year-end music lists to try to come a critical consensus of the best albums released in 2013. A quick run-down of my methodology: I start by listing out the various professional lists published by the various music magazines...and a couple of more general news sites. The lists I look at include Rolling Stone, NPR and Pitchfork, among many others. For any lists that rank their choices, I assigned a certain point value based on an album's position in the list. So, a number one album received ten points and a number ten album received one point, with the corresponding point values in between. Many lists go beyond ten albums, so albums falling below the number ten spot received fractions of points based on position: 11-20 received 0.5 points, 21-30 got 0.4, 31-40 got 0.3, 41-50 got 0.2 and anything falling below 50, but still ranked, got 0.1 point. NPR does not rank their list, so anyone appearing there received three points. The points were then combined and the albums ranked in descending order. In total, there were 393 unique albums in all of the lists that I used, many not getting more than 0.1 points. The best-ranked albums usually appeared on multiple lists and ranked high on most. And now, without further ado, the generally consented best albums of 2013! 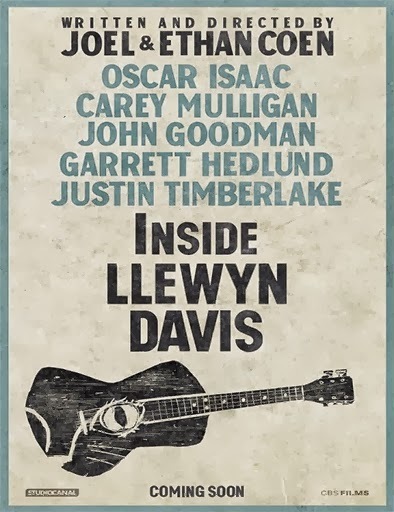 In Inside Llewyn Davis, the titular character, played by Oscar Isaac, struggles to find his footing in the Greenwich Village folk scene. His singing partner has recently committed suicide and his first solo record isn't selling so hot. He's resorted to sleeping on friends' (and sometimes, acquaintances') couches, but he's wearing his welcome thin with many of them. It seems like everything is against him; his record label's manager isn't really trying, one of his good friends is beyond pissed at him and he can only sometimes get gigs at a local club. As the movie progresses, however, it becomes clear that many of his problems are of his own making. While he is truly talented, he's also rude, impulsive and selfish. Chopin's "Ballade No. 2 in F Minor, Op. 38"
Justin Timberlake, Stark Sands & Carey Mulligan - "Five Hundred Miles"
It seems that Deerhunter received less attention for this release than for their previous, Halycon Digest, which was their breakout record of sorts. Of course, that doesn't mean that this isn't an incredible release, and the band has successfully overcome a common challenge...following up a great album with one that's as good as, if not better. 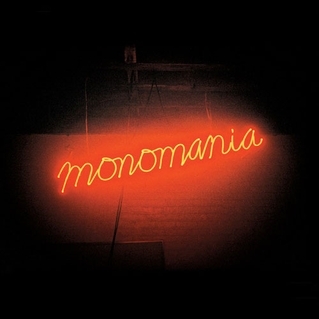 Monomania not only shows the band holding onto their pop-friendly aesthetic, but rocking out at the same time. Watch: "Back to the Middle"
This was an artist I picked up on later in the year. I was familiar with Son Lux as a member of S / S / S (now Sisyphus) with Sujfan Stevens and Serengeti, but was still mainly listening to Stevens' stuff. 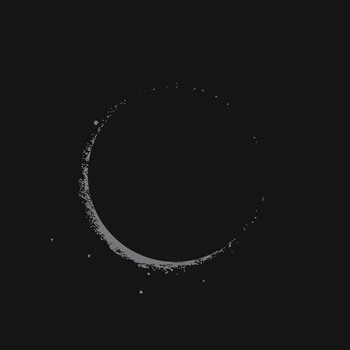 When it was announced that Son Lux would be releasing a solo album this year, I decided it was time to really check him out. I became entrenched in his sound, and was amazed by the mix of electronic, goth pop and classical music. It's his own unique sound, but one that is worth every listen. Watch: "Lost It to Trying"
Well, I think I've done a good job documenting my love of this Glaswegian band over the past year. 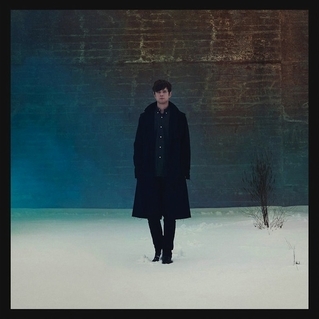 That love is all for good reason, they have released one of the best debut albums of the year. At its base, their sound is pop at its finest, but, when combined with electronic melodies, almost-saccharine sweet vocals and excellent songwriting, it becomes something more. While relatability is often a cornerstone of pop music, this band does that without resorting to overused ideas. Watch: "The Mother We Share"
It was not my intention to have Scotland so well represented on this list, but it serves as an indication of how much great music comes out of the country. Frightened Rabbit's been on my radar for a few years now, but 2013 is when they really caught my attention. Their fourth album retained some of their folk aesthetic, it was here that they also really started to rock out. There's a bit of reckless abandon applied to the vocals of this album, which allowed the emotion of some of the lyrics to come across and made the album seem even more personal to me. 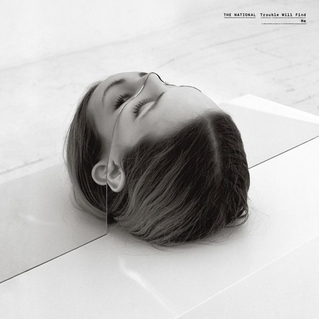 I've been a fan of The National for several years and find each of their albums to be better than the last. This latest is no different. While they haven't strayed far from their super-serious, somber rock, it comes together even stronger on this release. Lyrically, though, they add a bit of absurdity, just look at the album art, or song titles such as "I Should Live in Salt," "Don't Swallow the Cap," and "Pink Rabbits." I've always loved the band's sound and Matt Berninger's voice, so any new release is a treat. 2013 was the year I really dove head-first into hip hop. While I've long been a fan of OutKast and Mos Def, I had always been hesitant to check out newer artists. Once I did get more into the genre, Pusha T emerged as one of my new favorites. 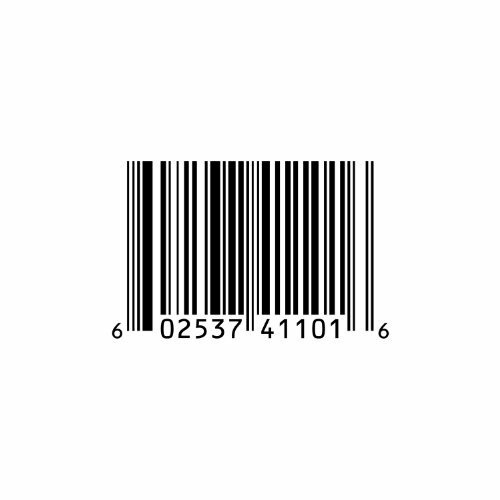 Where much of modern hip hop seems to get flashier and flashier, Pusha's music is marked by its simplicity. The beats are simple and he doesn't rely on hooks. Album stand-outs include the sparse "King Push" and "Nosetalgia." It's good enough to forgive Chris Brown being featured on the album. Another genre that I have found difficult to get into has been electronic (and all its various forms). Upon hearing British duo Disclosure's work, my mind was instantly changed. They're bringing back the house genre, but doing it in a way that doesn't feel rooted in the 80s or 90s. The album also features a bevy of excellent guest vocalists. Some, like Jamie Woon and Jessie Ware, were established in their own right. But they've also helped the careers of other artists, Sam Smith and AlunaGeorge, notably. The album is full of gems! Given how much I loved Blake's self-titled debut album, I was afraid that his sophomore effort wouldn't quite live up. He managed to create something even better. In the two years between his albums, he honed his R&B chops and infused a bit of soul into his electronic base. While the sonic move wasn't much of a surprise, given the direction of his interim EPs, but he did throw one big surprise onto the record. "Take a Fall for Me" featured vocals from RZA (a combination that oddly worked). Neko Case is one of my favorite vocalists, but I've always been fixated on her 2000 album Furnace Room Lullaby for several years. In The Worse Things Get, I've found something I love nearly as much. She takes her sound in a much different direction from her previous records, though country still plays a prominent role. The songs here are looser in their structure, especially the a capella track "Nearly Midnight, Honolulu." The result is something unique; a kind of free-form poetic country music. 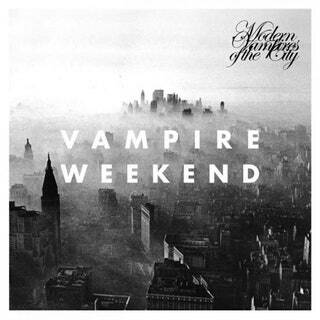 I've loved Vampire Weekend since I first saw them at the 2008 Pitchfork Music Festival. Their first album as a favorite of mine, but they get better with each release. It would have been easy for them to get pigeon-holed into their Afrobeat sound, but they've changed it up with each release. Even so, there's an element of familiarity in their style. The album is mature and lyrically complex, however it's still full of earworms and I spent all summer singing along with this in my car. It's easily my favorite album from the band and my favorite of the year! 2013 was a great year, it seems, for new artists. 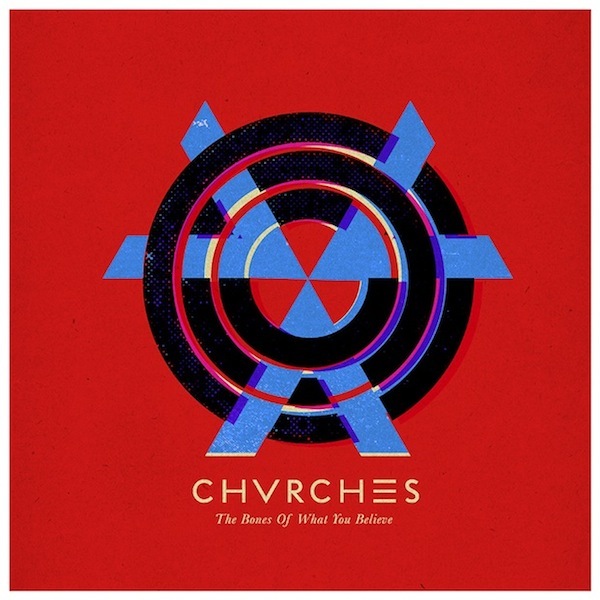 While there were a lot of great newcomers last year, Chvrches easily became one of my favorites. Their debut album, The Bones of What You Believe, contained a number of gems, including "The Mother We Share," "Lies," and "Recover." My favorite track from the album, however, is easily "Guns." Lauren Mayberry's soft voice belies a vitriolic desire for revenge against a former lover (a feeling I can definitely share). The Bones of What You Believe was released on September 24. Up until 2013, the Scottish band Frightened Rabbit was one of those bands that I was familiar with and had heard a few songs from, but none that I could really sing from heart. When they released last year's amazing Pedestrian Verse, I had a new band obsession. And when they stopped in Cincinnati for their tour shortly after, I knew I couldn't pass it up! So, I grabbed a couple of friends, headed down to Clifton, Cincinnati and enjoyed an incredible show. Fellow Scots The Twilight Sad opened for the band and did a great job warming up the crowd. 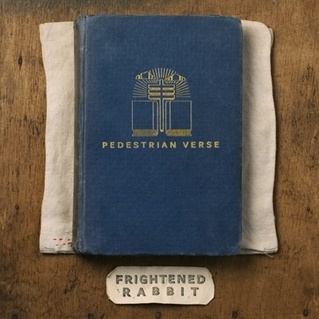 While their music may not be as immediate as Frightened Rabbit's (or, at least, as Pedestrian Verse), they share a similar dark aesthetic and thick Scottish accents with the main act. While I've been a big fan of theirs for several years and really enjoyed their set, my favorite moments were when they were speaking and throwing around colorful curse words. Notably, feck and shite were used a lot (I'm sure you can guess what those correspond to on this side of the pond). After The Twilight Sad finished playing, it was time for the main act. While Frightened Rabbit's sound can come off fairly subdued in recordings, they bring in a lot of energy in their live performances. They weren't as talkative as their opening act, but made up for it by really rocking out. Even when playing some of their older songs, they were able to make them just as exciting to listen to as the songs from their new record. I'm always impressed by any band that can do that! The Twilight Sad - "I Became a Prostitute"
The Twilight Sad - "Sick"
The run-up to the release of her debut album had been a struggle for Angel Haze. The hip-hop ingenue finished recording the album early in 2013 and expected to be able to release it before the end of the year. However, the record label gave it a 2014 release date and Angel was none too happy. After a series of angry tweets and leaking the album early to her SoundCloud page (where is was quickly removed), she got her 2013 release, just in the nick of time! Watch: "A Tribe Called Red"
Watch: "Echelon (It's My Way)"
In additional to an excellent third album, Holy Fire, Foals seems to have made 2013 the year of the awesome music video. To accompany the album, they have released a series of epic, cinematic, and mostly-NSFW music videos. The latest follows a woman as she appears to be experiencing delusions and paranoia. The music and cinematography almost make the viewer start to feel the same. Holy Fire was released in February of last year. On December 6, nominees for the 2014 Grammy Awards were announced. There were many exciting inclusions and I've become very pleased with the ever-increasing presence of independent music in these awards. Be sure to tune in January 26 on CBS for the show! Below, are some of the categories that I will be keeping an eye on (and I've starred my personal favorites to win)! Keep in mind, I long ago abandoned the idea that the Grammy's are supposed to reflect either mine or popular tastes. It is an industry award, though still fun to follow! 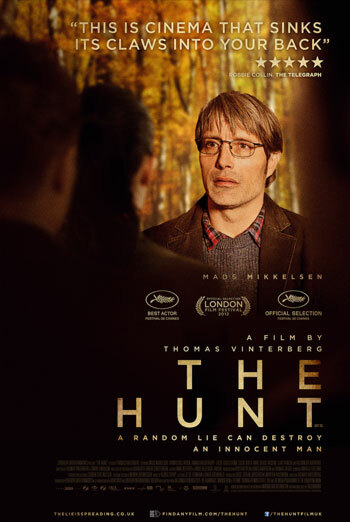 *Daft Punk - "Get Lucky"
*David Bowie - "The Stars (Are Out Tonight)"
The Danish film The Hunt is about a man, Lucas (Mads Mikkelsen), who has hit a rough patch in his life. He's divorced and lives alone, and struggles to gain custody of his teenaged son. Things begin to look up for him when he begins a new relationship and reconnects with his son. He's thrown back into turmoil when the young daughter of one of his best friends accuses him of molestation. He loses his job, most of his friends and becomes a pariah in his close-knit town. He must struggle to assert his ignorance and regain his standing. This movie was a great example of why foreign films can often be more rewarding than domestic films. The Danish film industry has been booming over the past couple of decades and Mikkelsen has become a face of that industry. He is also becoming one of my favorite actors (foreign or domestic) and his performance in this film was incredible. The movie is a gut-wrenching drama and had me near tears almost through the whole film. Andi Almqvist - "I Was Not to You What You Were to Me"
Having been a fan of Local Natives since the release of their debut album, Gorilla Manor, in 2009, I was excited to finally see them live. They put on an excellent show with a lot of energy and crowd excitement. I'd made this strange assumption that Taylor Rice (the one with the hipster 'stache) was the main vocalist of the band, but he and Kelcey Ayer (keyboards) share much of that duty. While they were touring in support of Hummingbird, released in January, they, thankfully, played a good mix of songs from both records. It's not that I disliked Hummingbird, but I love Gorilla Manor so much more! Laura Marling's songs seem to lend themselves extremely well to modern and interpretive dance, something she's taken advantage of in many of her music videos, all visually stunning. The latest follows a woman in 19th-century garb as she succumbs to the Devil. Marling's latest album, Once I Was an Eagle, was released in May. This was an amazing Christmas gift for Beyoncé fans. 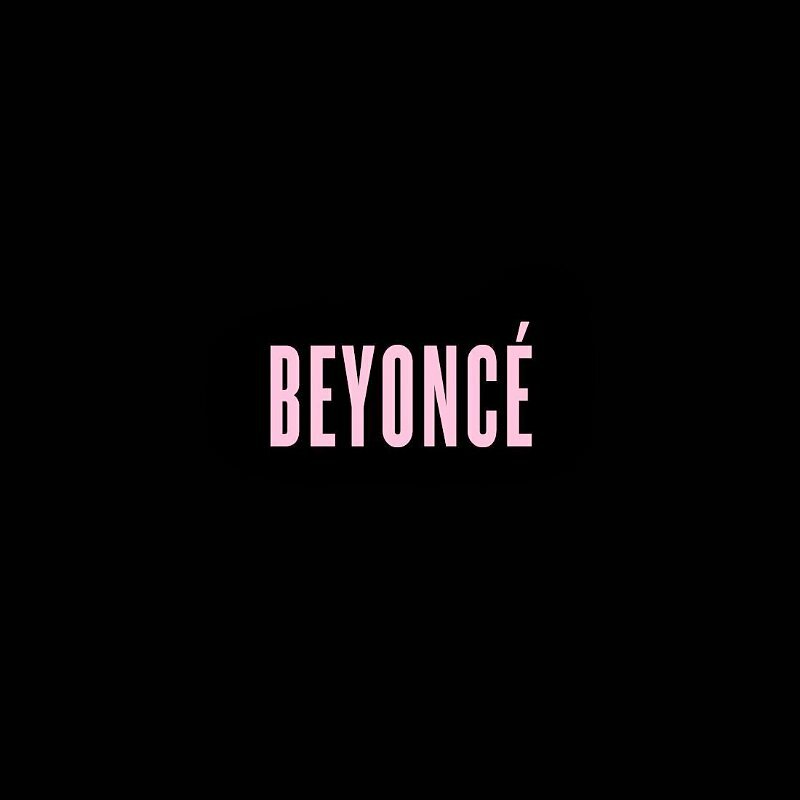 Beyoncé dropped her fifth album by surprise on December 13; no announcement, no promotion. Everything else became invalid in an instant. Beyoncé may have proven herself to be the queen of modern pop/soul/R&B! There's a copyright outstanding on The Beatles' catalog, some of which was set to expire very soon due to revised copyright law in Europe. 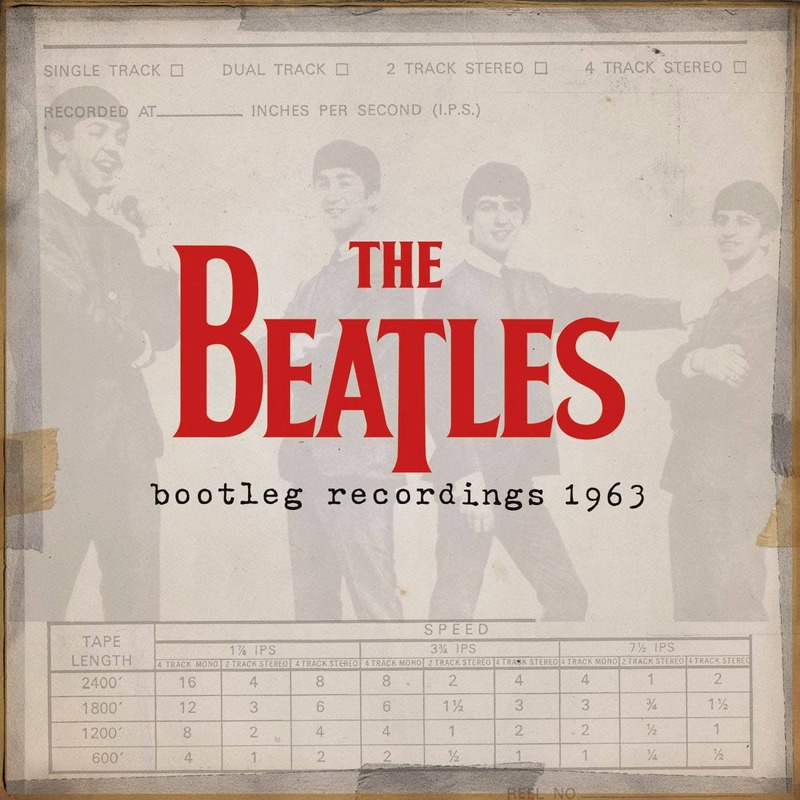 In order to pre-empt that, UMG released a series of recordings that the band made during recording sessions in 1962. Burial's star power may not be anywhere near Beyoncé's, but the musician has a very loyal following. His own surprise end-of-year released certainly excited his fan base. 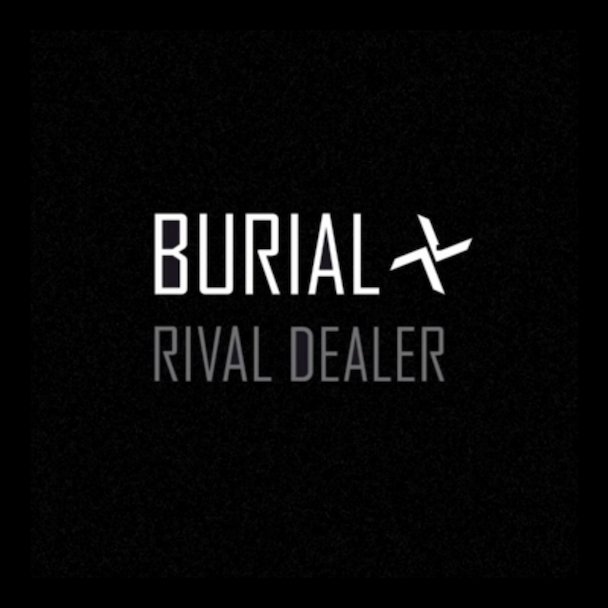 Burial intends for the tracks on this album to send an anti-bullying message. Charlotte Gainsbourg - "Hey Joe"
Lars von Trier's latest, already controversial, film Nymphomaniac is set to be released in March. Charlotte Gainsbourg is one of the stars of the film, and also contributes a song to the soundtrack. David Lynch released his latest album in July of 2013. The deluxe edition of the album adds some bonus tracks and remixed versions to the record. 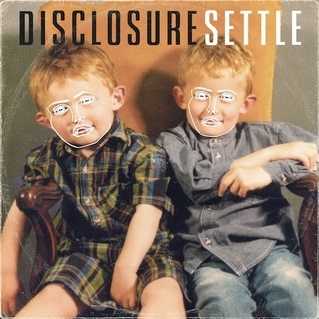 Disclosure made a big splash this year with their excellent debut album Settle. 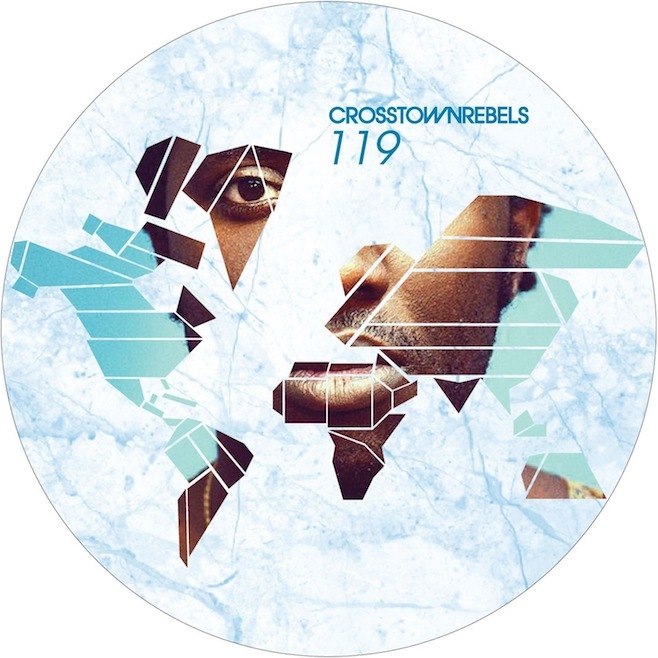 Though their sound is already full of sythesizers, computer-created beats and looping, it is still getting the remix treatment. 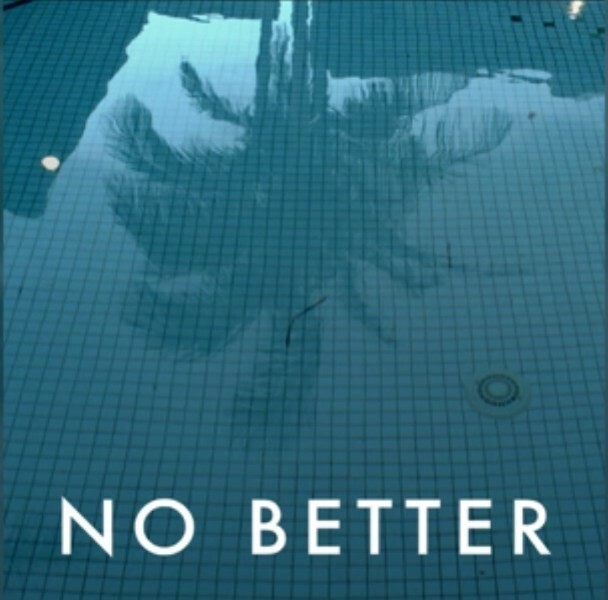 Contributors include Kaytranada, Baauer and Flume. Lorde may have had a big year, but her attempt at the Beyoncé-style surprise release fell a little flat. Of course, all eyes were elsewhere. That doesn't mean her latest non-album single isn't worth a listen, though. 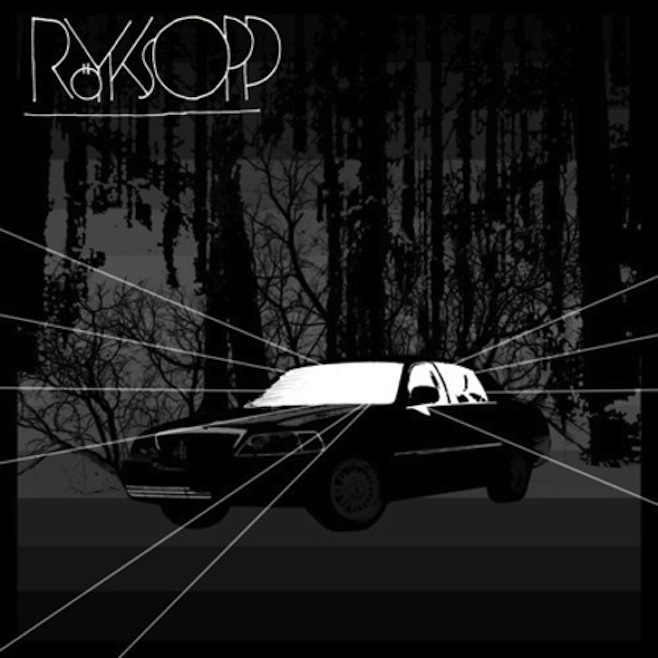 Royksöpp - "Running to the Sea"/"Something in My Heart"
Royksöpp continues their 2013 string of new songs, but have yet to announce the release of a new album; the last, Senior, was out way back in 2010. I guess we'll have to live with these one-off tracks, but I'm hoping for something more soon. Watch: "Running to the Sea"
Listen: "Something in My Heart"
Ben Stiller's latest movie came out this past Christmas. 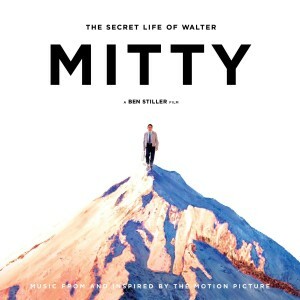 The soundtrack from the film features contributions almost exclusively from José González and his band, Junip. Watch: José González - "Stay Alive"
Listen: Of Monsters and Men - "Dirty Paws"
Normally, when I write about a great musician passing away, they are older and have been able to long establish themselves. Benjamin Curtis, of the band School of Seven Bells, was just 35 when he passed away from T-cell lymphoblastic lymphoma earlier this week. Curtis had formed the band after meeting twin sisters Alejandra and Claudia Deheza in 2007. Together they released two albums, Alpinisms and Disconnect from Desire before Claudia left the ensemble in 2010. After her departure, they released one more album, Ghostory, in 2012. Benjamin was diagnosed towards the beginning of 2013, but was expected to make a recovery. Unfortunately, that did not occur and he passed away on December 29. The last single released from the band before his diagnosis was "Scavenger" in 2012. Pedro Almodóvar's latest film is decidedly lighter that much of his past work. 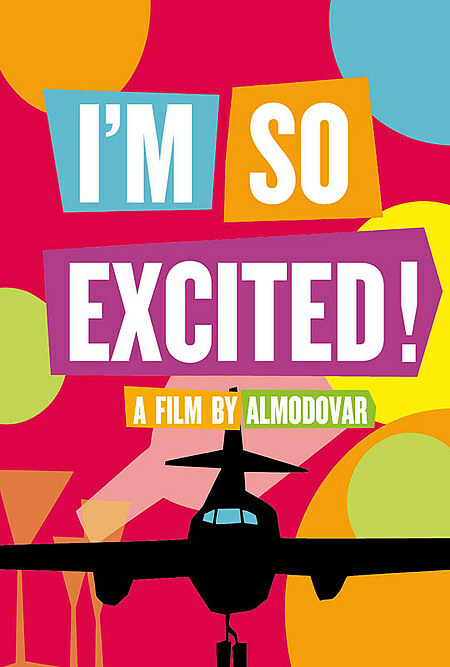 I'm So Excited follows a planes passengers and crew (including a very flamboyantly gay trio of flight attendants) dealing with possible tragedy after the landing gear of the plane fails. The pilots and attendants try to find ways to distract everyone from potential doom while all see it as an opportunity to do things that they otherwise would not. Not having already been familiar with Almodóvar's work, I went into this movie without any real expectations, but left having really enjoyed it. The movie is funny, but so over-the-top that it's often silly. Almodóvar uses it in a way that it really works, though. The situations were ridiculous, but played in such a way that you could almost believe that people could do really crazy things when faced with the potential of death. Of course, the trio of gay flight attendants were probably my favorite characters in the film, especially during the dance scene set to the song "I'm So Excited." Django Django - "Skies Over Cairo"